The first Deep Brain Stimulation support group took place at North Shore Private Hospital on Friday 25 May. The group, which will now meet quarterly, was hosted by Parkinson’s NSW and Sydney DBS and gave those who have undergone DBS as a treatment option for their Parkinson’s disease an opportunity to share their stories and experiences. Speaker, Dr Paul Clouston, spoke about his own personal experience of electing to undergo DBS to help treat his Parkinson’s disease and how the procedure has improved his life. 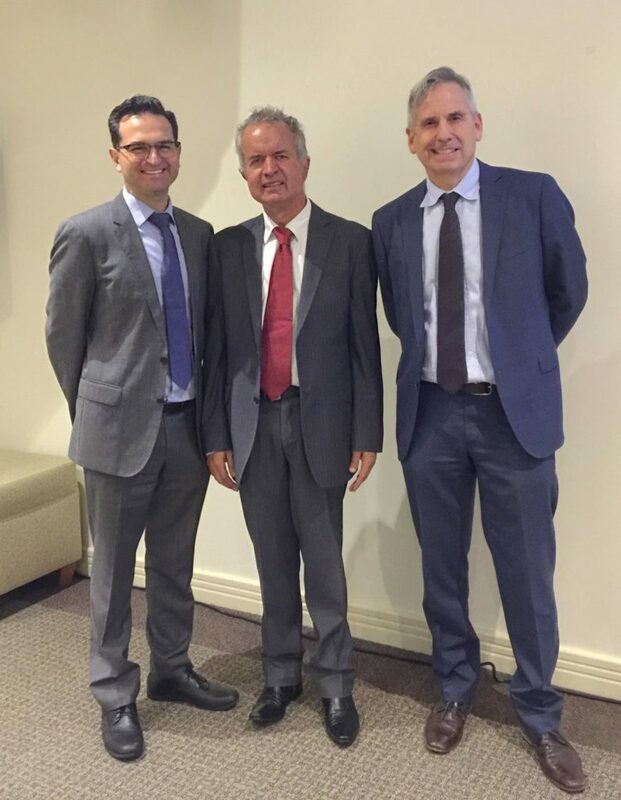 Dr Clouston was joined in discussion by Sydney DBS Neurosurgeon Dr Raymond Cook and Neurologist Dr Paul Silberstein who provided the support group attendees with information on how they identify patients who could benefit most from DBS treatment. What Happens After DBS? 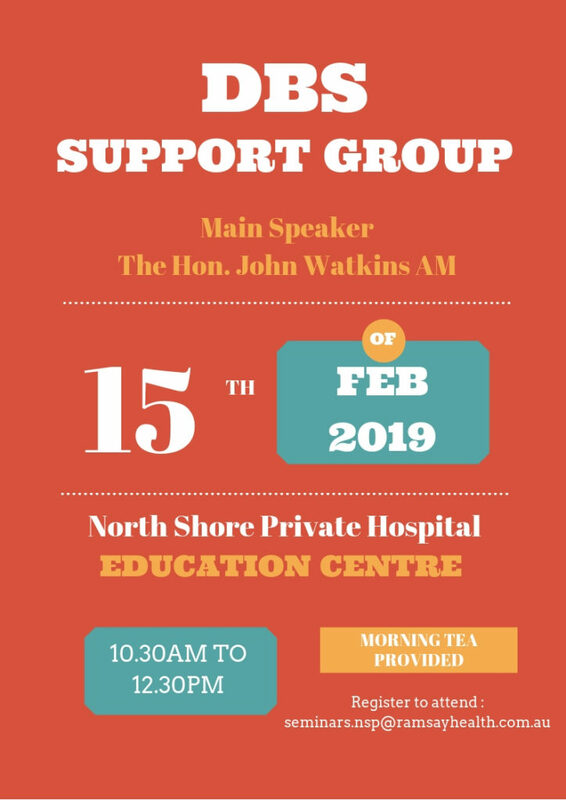 The first Post DBS Support Group, hosted by Parkinson’s NSW, will take place at North Shore Private Hospital on Friday 25 May at 10.30am. 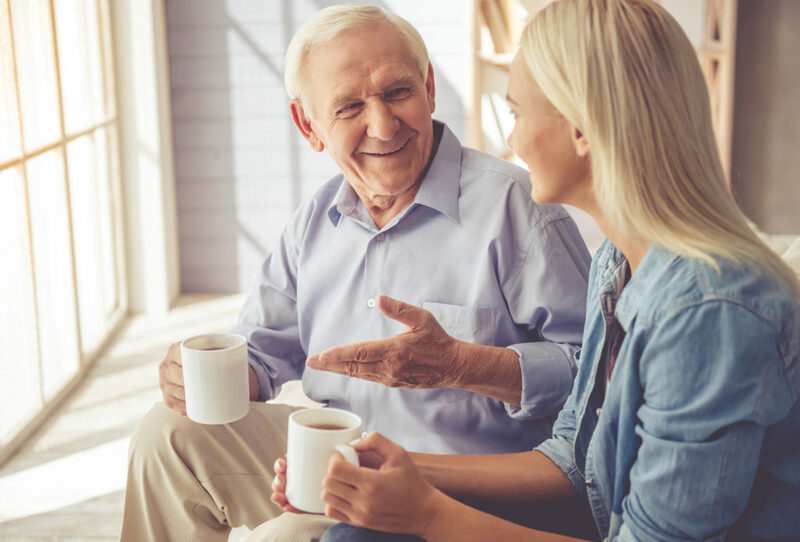 Enjoy morning tea while sharing personal experiences, asking questions and participating in discussions. Speaker Dr Paul Clouston will be joined by Sydney DBS Neurologist, Dr Paul Silberstein and Neurosurgeon, Dr Raymond Cook. Please call the PD NSW InfoLine on 1800 644 189 to register.